Little Passports creates award-winning subscriptions for kids that inspire them to learn about the world. 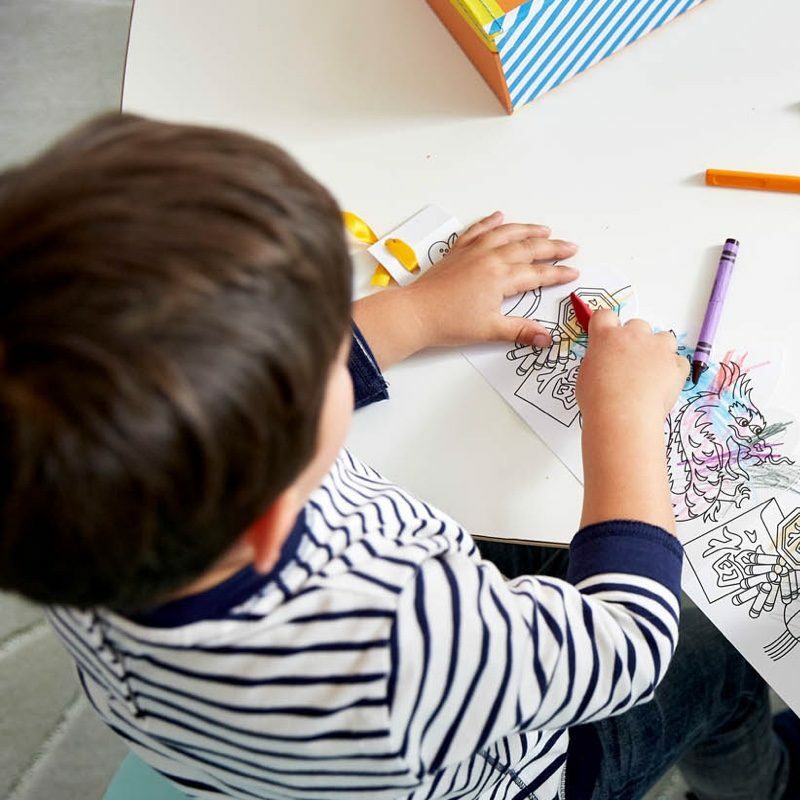 Each month, you'll receive a package filled with fun and educational toys, activities and souvenirs designed to spark your child's curiosity. Explore a new world theme each month, like music, oceans and dinosaurs. Discover a new country each month. Online extras like photo galleries, fun facts and more! Discover the USA with monthly activities, games and more! Solve real-life scientific mysteries every month. What is the recommended age range for Early Explorers? Our Early Explorers subscription is recommended for children 3 to 5 years old. The recommended age range for our other subscriptions are: 6 to 10 years old for World Edition, 7 to 12 for USA Edition, and 9+ for our Science Expeditions. What items are included in each monthly package? 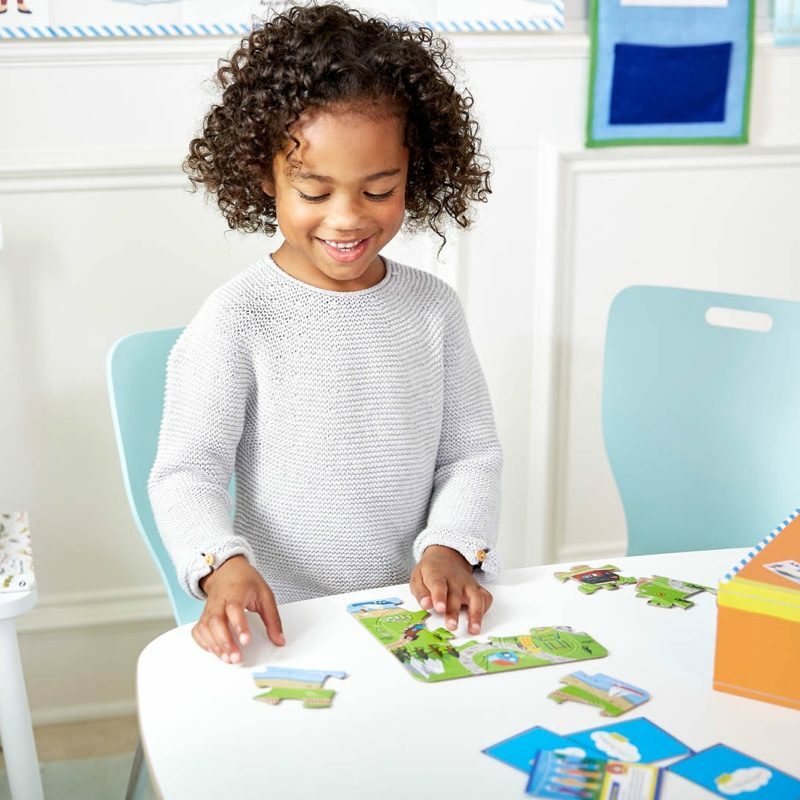 For the first month, your child will receive our introductory Traveler Kit, which includes a suitcase, welcome letter, activity booklet, and a wall-sized world map. Each month thereafter, they’ll receive a themed package with an interactive souvenir, activity booklet, stickers, and more. They’ll follow the journey on their map and start exploring the world! What themes are covered in Early Explorers? Early Explorers is packed with fun and educational themes, including: landmarks, music, animals, food, art, oceans, natural wonders, world coins, space, world discoveries, dinosaurs, science, celebrations, habitats, transportation, insects, sports and more! How did you develop the materials for Little Passports? As we developed each subscription, we partnered closely with a panel of parents and educators who have direct experience working with children in our target age range. We have also tested our product directly with children and incorporated their feedback to ensure every package is both fun and educational. Can I order Little Passports as a gift? We would love for you to gift a Little Passports subscription! When you place your order, you can include a personalized gift message that will be included with the first package of your subscription. You can also send a gift email to the recipient to let them know their gift is on the way, or print a Little Passports gift card to announce your gift. To print a gift card, click here. How soon will my first package ship? Please allow 1-3 weeks for your first Little Passports subscription package to arrive. If shipping outside of the U.S., please allow up to 6 weeks. You can also check the status of your order online by simply logging into My Account. What is the recommended age range for World Edition? Our World Edition subscription is recommended for children 6 to 10 years old. The recommended age range for our other subscriptions are: 3 to 5 years old for Early Explorers, 7 to 12 for USA Edition, and 9+ for our Science Expeditions. 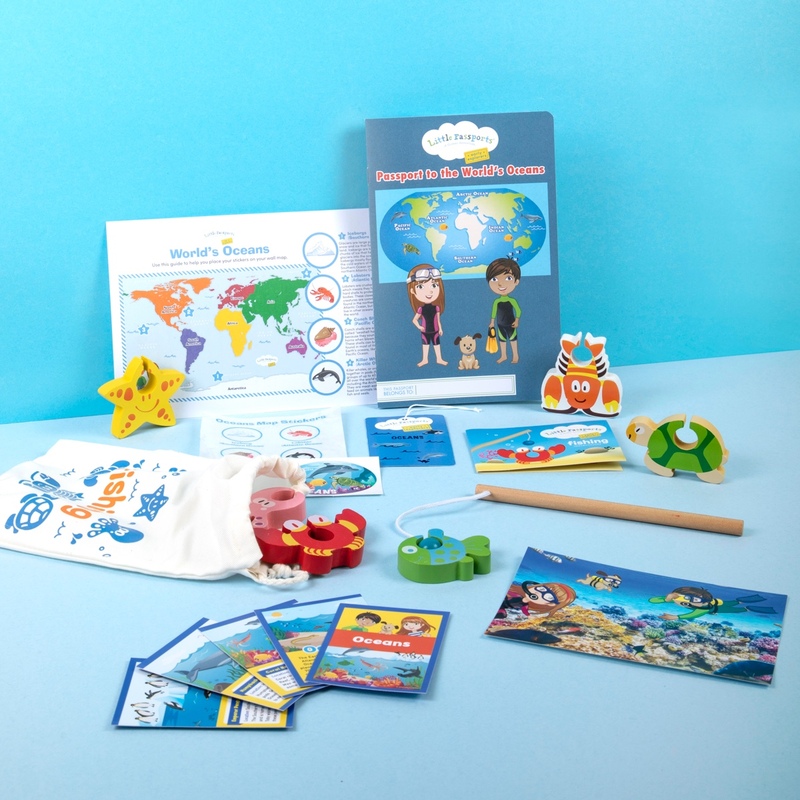 For the first month, your child will receive the introductory Explorer Kit, which includes our signature blue suitcase, passport and wall-sized world map. Each month thereafter, they’ll receive a new package that explores a different country. The packages include pen pal letters from our characters Sam and Sofia, along with souvenirs, photos, stickers, activity sheets, plus access to online games and activities. What countries do the children receive? Some of the countries included are: Australia, Brazil, Chile, China, Costa Rica, England, France, Germany, Greece, Guatemala, Iceland, India, Ireland, Israel, Italy, Japan, Jamaica, Kenya, Madagascar, Mexico, Morocco, Poland, South Korea, Spain, Sweden, Thailand, Turkey and more! What is the recommended age range for the USA Edition? USA Edition is recommended for children 7 to 12 years old. The recommended age range for our other subscriptions are: 3 to 5 years old for Early Explorers, 6 to 10 years old for World Edition, and 9+ for our Science Expeditions. What states are currently available in the USA Edition? With our USA Edition subscription, you will travel to all 50 States! For the first month, you receive our starter USA Discovery Kit. Every month thereafter, you’ll travel to two new states for a total subscription length of 26 months. Throughout our development cycle, we have partnered closely with a panel of parents and educators who have direct experience working with children in our target age range. We have also tested our product directly with children and incorporated their feedback to ensure every package is both fun and educational. What is the recommended age range for the Science Expeditions? Our Science Expeditions subscription is recommended for children 9+ years of age. The recommended age range for our other subscriptions are: 3 to 5 years old for Early Explorers, 6 to 10 years old for World Edition, and 7 to 12 for our USA Edition. For the first month, your child will receive fun science experiments and activities, a large tote bag to store all their experiment materials, and a special lab notebook. Each month thereafter, they’ll receive a new package that explores a new theme and will include fun and educational hands-on science experiments, activities and a comic book! What themes are covered in the Science Expeditions subscription? Your child will receive the Forensic Science package in the first month, followed by a themed package each month thereafter. Themes include: Forensic Science, Caves & Crystals, Hydrology, Optics & Vision, Rockets and more! "My son loves his package every month and so do I! The activities encourage his natural curiosity and excitement about the world around him. We can't wait to see what all the other subscriptions have in store as he grows up!" "Fun and educational, every parent's dream. A Sunday well spent learning about countries, traditions and making a travel bucket list." “Little Passports is the perfect gift for aunts like me or grandparents to help mix up things for busy parents. I love the combination of substantive learning and widening of horizons mixed with good fun. Keep up the great work!" "Cheaper than a round trip ticket to explore the great states and so much fun. These hands-on activities help keep them engaged and focused as they watch the world unfold before their very eyes!" Discover a new country each month, with souvenirs and hands-on activities. Learn about two new states each month, with activity-packed State Journals. Reveal the mysteries of the world through science experiments and activities. Get $25 off when you refer a friend!